Gifu City is located in the center of Japan. Although it is the capital of Gifu Prefecture, it is blessed with an environment full of natural beauty; the Nagara River running through the center of the city has clear water, and Mt. Kinka is rich in greenery. Gifu is easily accessible both domestically and for travellers coming from abroad. Gifu can be reached by train in 20 minutes from Nagoya, 1 hour from Central Japan International Airport (CENTRAIR), 2 hours from Tokyo, and 1 hour from Osaka. Gifu City is well known as a historical city with Ukai (cormorant fishing) in the pristine Nagara River —a tradition with some 1300 years of history. It is also famous for Gifu Castle, a central landmark in the history of 16 century daimyō general ODA Nobunaga. Gifu City was also approved as an international convention city in 1988, and has continued to grow in popularity as an international convention and tourism city ever since. ODA Nobunaga, one of the greatest daimyō generals in Sengoku period ("Warring States Period"), used his home base of Gifu as a launching point from which to unify Japan from out of the chaos of its long Warring States Period. He expanded his empire with fresh and unique policies and a great ability to take decisive action. Although Nobunaga's premature death prevented him from seeing his dream of national unification come true, he remains one of the most popular samurai leader figures in Japanese history. 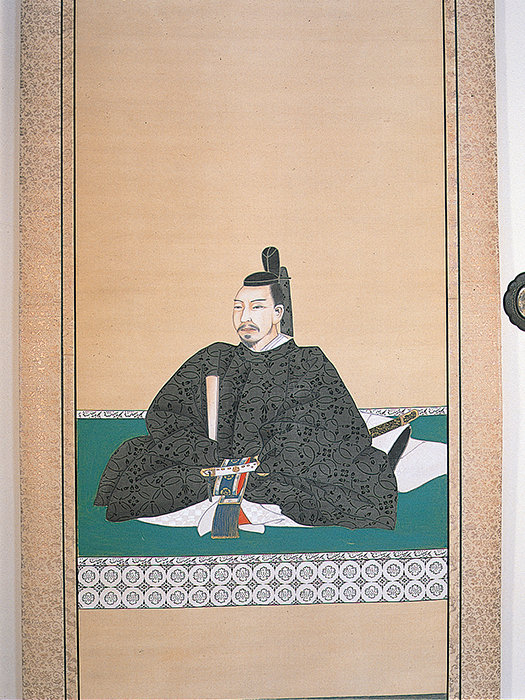 Nobunaga was born in what is today Aichi Prefecture. In his childhood, he was regarded as being an of-no-account, due to his eccentric wardrobe and often boorish behavior. However, he found his groove as he matured, and went on to expand the size of his personal fiefdom by leaps and bounds. At the age of 15, Nobunaga married Nohime, the daughter of SAITO Dosan, the master of Inabayama Castle (later Gifu Castle). 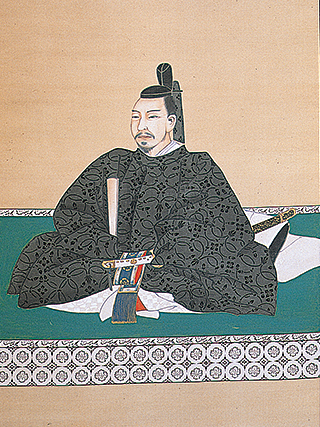 SAITO Dosan recognized Nobunaga's talent early on, despite the youth's poor reputation at the time; in his last will and testament, Dosan granted his fiefdom to Nobunaga. Nobunaga attacked and conquered Inabayama Castle (later Gifu Castle) in 1567 when he was 34 years old. He changed the area's name from "Inokuchi" to "Gifu", and of the citadel from "Inabayama Castle" to "Gifu Castle". From his Gifu base, Nobunaga committed himself to reestablishing the castle town, and to pursuing his dream of unifying the nation. One of his innovations for the castle town was the "Raku-ichi Raku-za" market where merchants could assemble to trade freely. With this innovation, Gifu castle town became an important regional center for commerce and the exchange of information. Nobunaga built his residence on the site of today's Gifu Park, while his lieutenants built their residences in the castle town. Nobunaga's gorgeous personal residence was the object of great admiration at the time. In 1569, Portuguese missionary priest Luis Frois visited Nobunaga to ask permission to establish a Jesuit mission. In his book "History of Japan" ("Historia de Iapam"), Frois wrote that Gifu's castle town was as bustling as old Mesopotamian Babylon. He also wrote in great detail about Nobunaga's residence, including references about the garden, the decoration of rooms, room arrangements, and so on. His descriptions remain valuable source materials for historical research about this period. Based on this document, excavations and other research in Gifu Park are underway at present. Nobunaga lived in Gifu for about 9 years until he moved his headquarters to Azuchi (present Shiga prefecture) in 1576. Just as he was about to realize his dream of unifying the nation, Nobunaga was overthrown by his general AKECHI Mitsuhide's rebellion in 1582, and forced into suicide during what has become known as the "Honno-ji Incident." Oda was 49 at the time of his death. Nobunaga established the most important basis of what would eventually become Gifu City. His achievement was so great that people in Gifu still have much love for Nobunaga. Many neighborhood names in Gifu City date from Nobunaga's days; you can visit these and other places related to Nobunaga all over the city.